Hello There, after a long wait, we are releasing Champions League T20 patch for EA Sports Cricket 2007! Pretty cool eh? Well, actually, most of the work is done and only some assignments are left. This patch is completely created by GM StudioZ – Ajay, Ayush, Raviteja, Inzamam, Charu and some other people! It’s an open source download available for Free download under Creative Commons License and make sure you follow our DMCA & Police and yeah – Read our disclaimer! This patch has been completely made by GM StudioZ and OMGAyush is a proud member of GM StudioZ. All the stuff inside the patch belongs to GM StudioZ and we don’t allow you to copy our patch. If you need permissions to spread this patch you have to ask us. You should MUST follow these steps, if you want your game to work properly. Else Don’t complaint about Errors! 1. Install Fresh EA Sports™ Cricket 2007. 2. Extract the downloaded “GM StudioZ Karbonn Smart CLT20 Patch.zip” to any Directory of your choice. 3. Download & Extract “ZaxWillowz™ 256 Batpack”. Can be Downloaded here “http://www.mediafire.com/?2l864dus8qjn2ld” [Password: “twofivesix”]. with password, then please run the .exe with Administrator Rights so it could install the Roster in My Documents Automatically). 6. In game, Load the “clt20.ros” first, & start playing Realistic Karbonn Smart CLT20 2012 Patch! 1. The setup will itself install the Music Patch and Roster, so you dont have to do anything rather than just installing the Batpack and Playing the Game. HOW TO PLAY The Karbonn Smart CLT20 2012 TOURNAMENT? 6. Select User Team & Start playing Karbonn Smart CLT20 2012 with Actual Fixtures, Teams etc….!!! Enjoy the most realistic & excellent Karbonn Smart CLT20 2012 Patch & Don’t Forget to provide us your Feedback regarding our Patch! Video Coming Soon. Keep checking Cricket Patches for latest information on Karbonn Smart CLT20 Patch by GM StudioZ and OMGAyush. Download Provided by MediaFire. To download, just click the button above and then you enter the password and then download! It works 100% and is virus-free proven by BitDefender in MediaFire. Make sure you’ve downloaded EA Sports Cricket07 – If you haven’t, better do so – since it’s the basic game we’ve created the patch for! Click Here to download EA Sports Cricket07 PC Game! Make sure you’ve downloaded ZAX-256 BATPACK! Without it, you will get loads & loads of asyncs errors – don’t blame me for that! Click Here to download ZAX-256 BatPack! 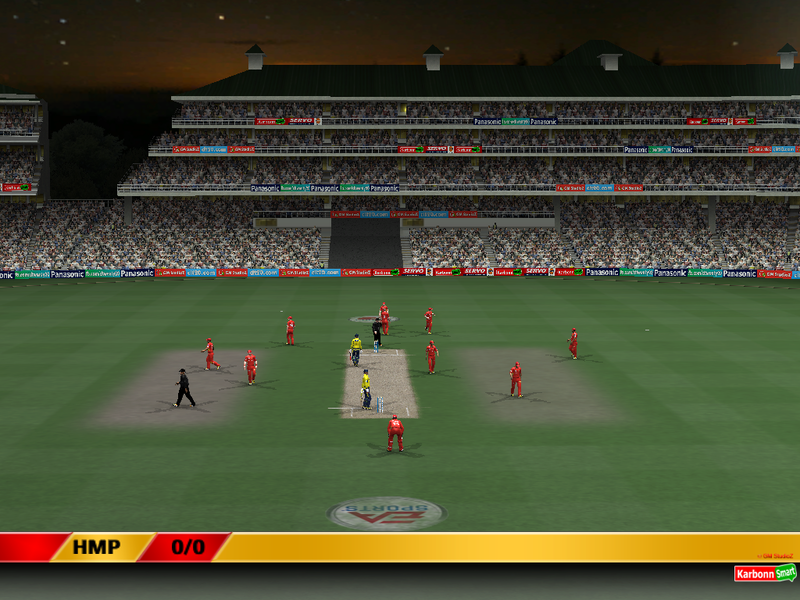 Make sure you’ve loaded the rosters (CLT20.ros) from my cricket, otherwise you will get async errors like the batpack! Well, what to say? Thank you all for all the suppot and coordination, without your support & demand, it wouldn’t have been possible for us to release the patch! Hope you enjoy the patch! Next article EA Sports Cricket’12 Menu for EA Sports Cricket 2007 – Download Now!